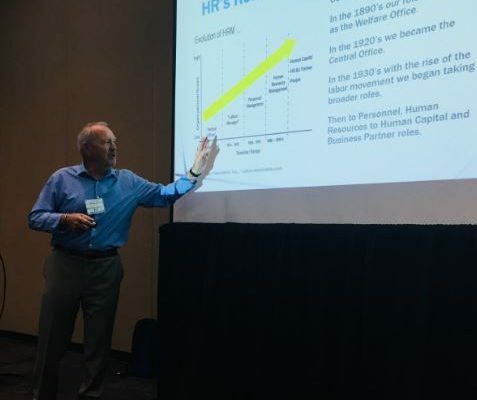 My session was focused on helping HR Professionals unlock their sphere of influence, through mutual respect, trust and inclusion. We reviewed avenues for enhancing their own professional development, establishing and managing partnerships with peers, counterparts and executives along with effectively influencing and driving organizational change. Lastly understanding how these key roles are interwoven into both day to day activities and forming and maintaining strategic alliances and partnerships. The presentation was a small sampling of what my book offers. The book’s main focus is on helping HR Professionals enhance their career and shares avenues to explore for building better internal and external partnerships. In addition, I am extremely proud to have received a personal endorsement from Dave Ulrich, adding value to the book’s core principle theme. He has written numerous (20) books covering topics in human resources and leadership. My book is available through Amazon and Kindle eBooks. For those who bought a book at the conference, I thank you and for those interested in my book please visit Amazon at: https://www.amazon.com/H-R-s-Partnership-Challenge-Mastering-Everything/dp/0692885250/ Stay up to date on what’s happening, if you haven’t joined me yet, please join me on linked-In at linkedin.com/in/brucejd.